Isn’t that just the story of everyday life? I am forever thankful that I am allowed to be Perfectly Imperfect. If I strived for perfection every moment of every day I would not be living my life in the way that I know God wants me to. It’s a struggle even as a I allow myself to be imperfect. I know someone who had this down to a science. My first daughter was born with a birth defect called Holoprosencephaly. She was not perfect by human standards. She did not have all of her brain and she would never do the things that most kids would do. But she was happy. She was happy with whatever the day brought and when she learned a new skill or was finally able to communicate it to us, we all rejoiced. 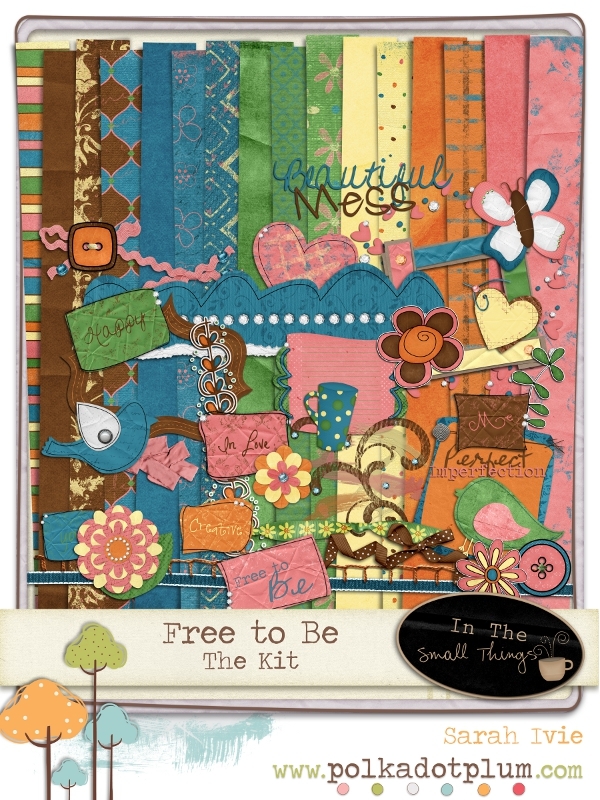 I tried do create something not so “personal” with this kit, Free to Be… but if you’ve seen my blog at all you know this is why I scrapbook. 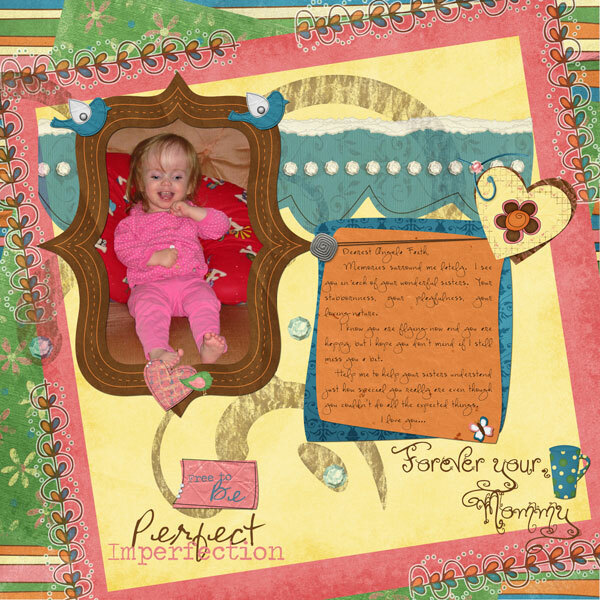 You can purchase it here from Polka Dot Plum or Stuff to Scrap. Enjoy.